Moe Johnson, Gary Nelson and Jean Balkman gave us a really great program in highlighting what all our Kiwanis Club does for the community. We are constantly looking for guests to visit our club, and if interested, to come and join us. But I wonder just how many people really know what our club does throughout the year. 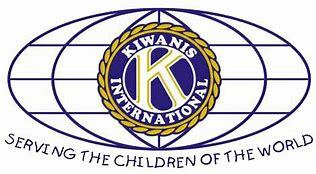 I'm going to share information presented by our Membership committee to those who are receiving our weekly bulletin so if someone asked you about Kiwanis and what it does, you can refer them to these significant activities.....YOUTH SERVICE (Circle K Club at Texas State University; Key Club at San Marcos High School; Builder's Club at Miller Middle School; K-Kids at DeZavala Elementary School; Terrific Kids at DeZavala Elementary School. SCHOLARSHIPS: 6 - $1,000 High Schools Seniors; FLAG PROGRAM....patriotic display- over 100 FLAGS FOR 8 holidays; WEEKLY luncheon and community speakers; BUILDING OF HANDICAP RAMPS (about 10+ per year); CAMP ON THE BLANCO...8 acres used by Scout and non profit groups; CHARITY. $18,000 donated in 2017 -2018 (local community, Salvation Army, HCWC. Food Bank, School Fuel; MEDICAL EXPLORER PROGRAM, $1,000 annually;VETERANS - Annual Parade and donating 2 children's bikes; INTERNATIONAL, Eliminate Program, (over $23,000), IDD & Outreach; FUNDRAISERS - Pancake Day & Silent Auction, Great Pumpkin DasH 5K race, Flag Program, funds going to Public Library's Children's Reading Program.